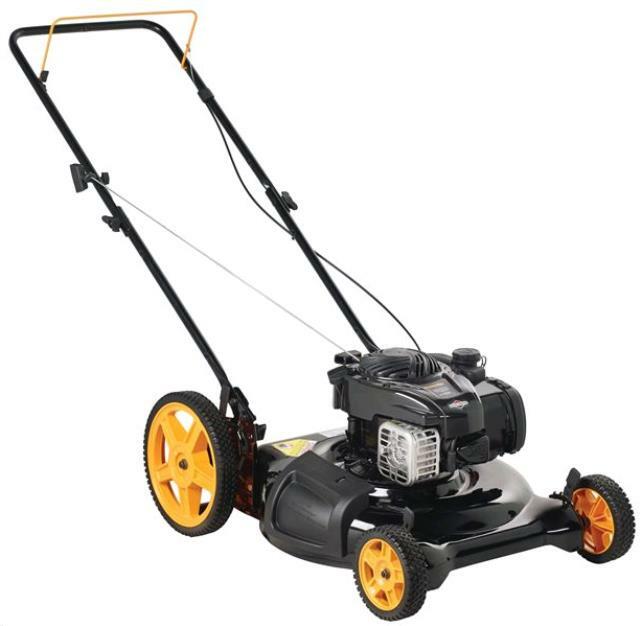 DIMENSIONS (LxWxH)...... 63" x 25" x 39"
Mowing your lawn will be easy & fast with this Poulan PRO push mower. The strong and efficient 140cc 5.0 gross torque Briggs & Stratton 500e series engine features reliable pull starting and plenty of power. Our 21 steel deck is designed to create a strong vacuum that lifts grass blades up for a clean, accurate cut. Choose from 5 cutting heights that adjust quickly to your lawn conditions. ** Please call us for any questions on our 21 inch push lawn mower rentals in Fairview Heights IL.